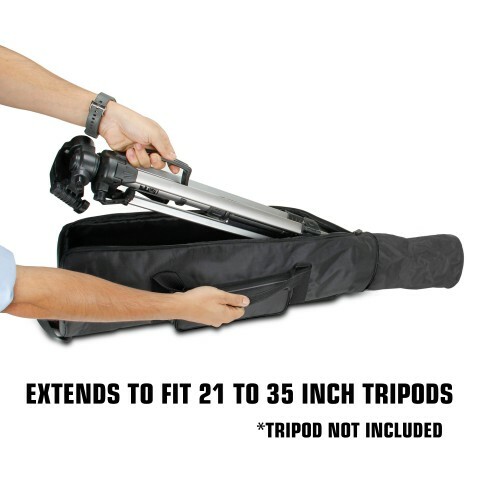 Perfect for on the go photographers, this case is designed to be your one stop shop for your variety of professional tripods. 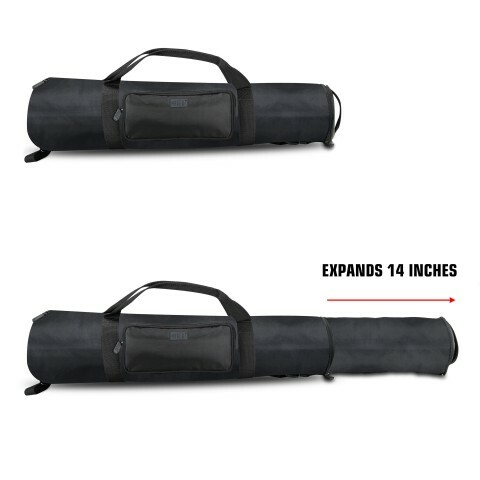 Equipped with a zippered expanding side, customize the size of your bag to fit folding tripods from 21 to 35 inches long! 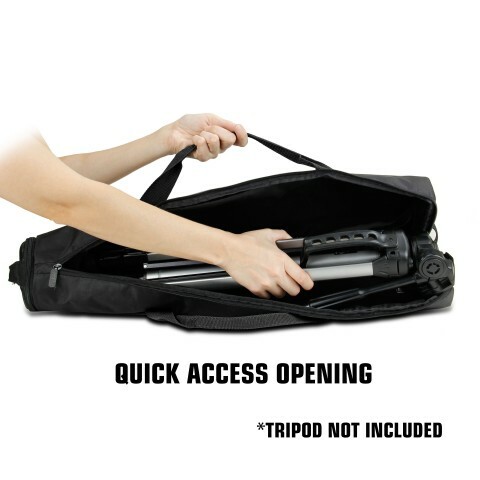 You no longer need multiple cases for your tripods. 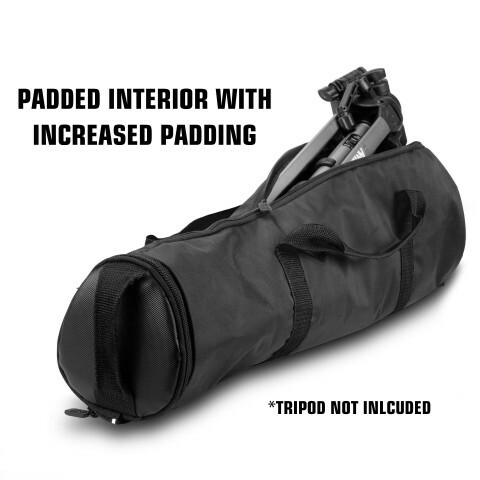 This high-quality tripod bag offers protection against dust, dirt, moisture, and the bumps and knocks encountered when moving your gear. 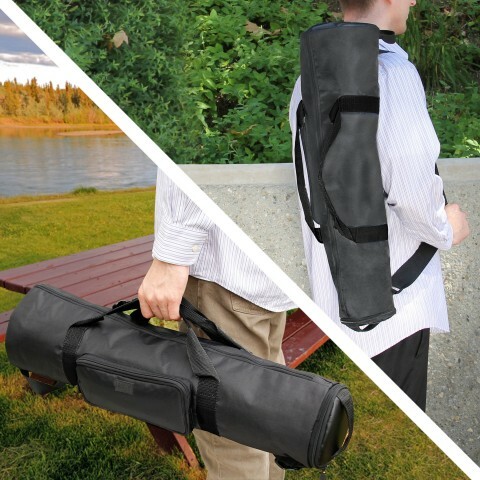 Both the base and top of the tripod bag are reinforced with a durable, padded neoprene material. 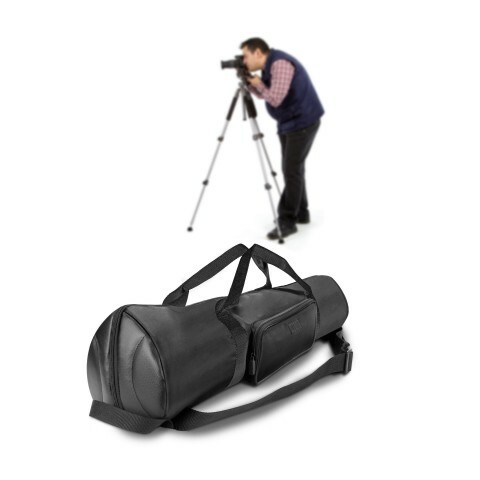 The case's cylindrical design and construction ensure an excellent fit with most popular tripod models. Fully adjust the non-slip shoulder strap to customize your fit, or use the convenient hand straps. 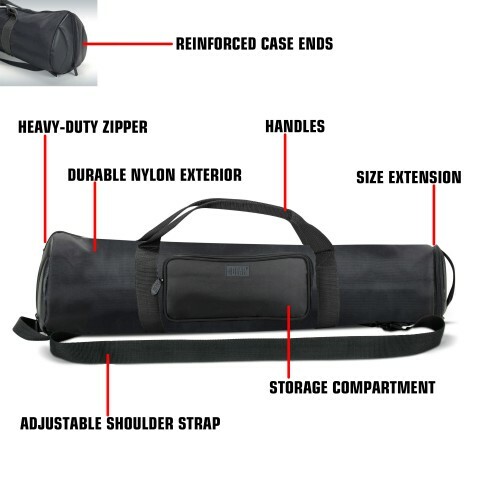 Find the carrying style that is best for you! 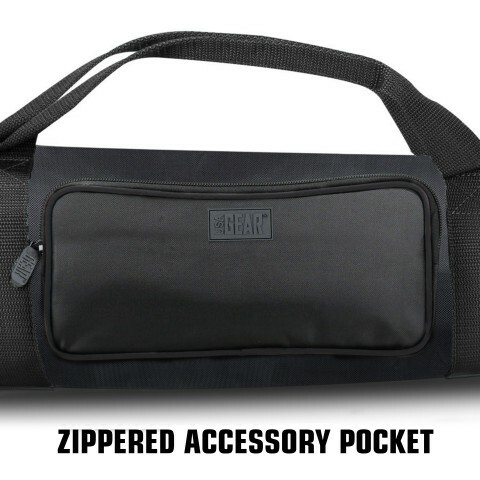 An additional zippered accessory pocket on the side of the bag is great for your chargers, memory cards, and other photo items.